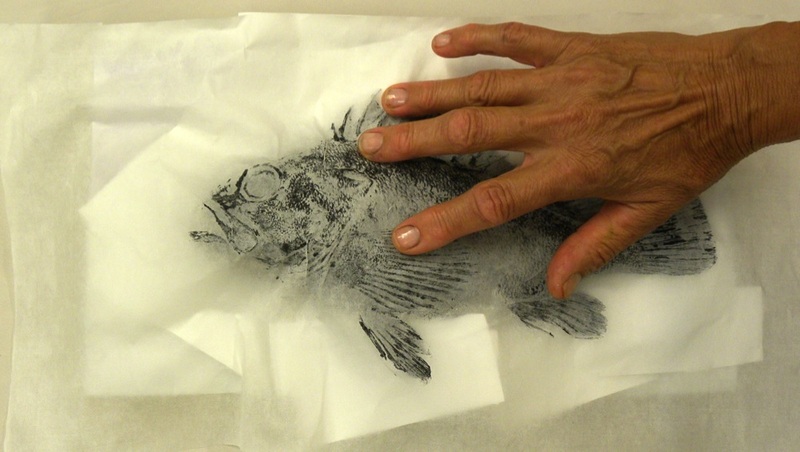 Gyotaku, or literally fish(gyo) rubbings(taku), is an oriental art form which uses an actual fish to create an ink image. Gyotaku originated in Japan in the mid 1800’s as a way for anglers to record the characteristics and size of their catch. This record is so accurate that prints have been used in present day Japan to determine the winner of fishing contests. 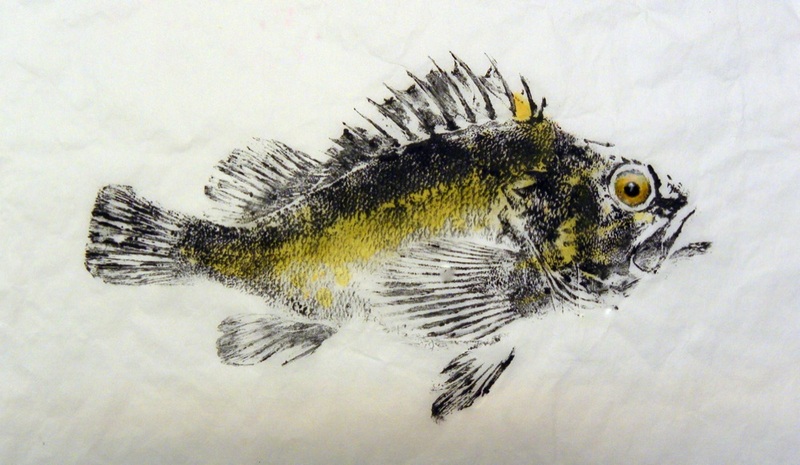 In the western world, Gyotaku, more commonly known as fish printing, has been embraced by artists and designers as a unique art medium. 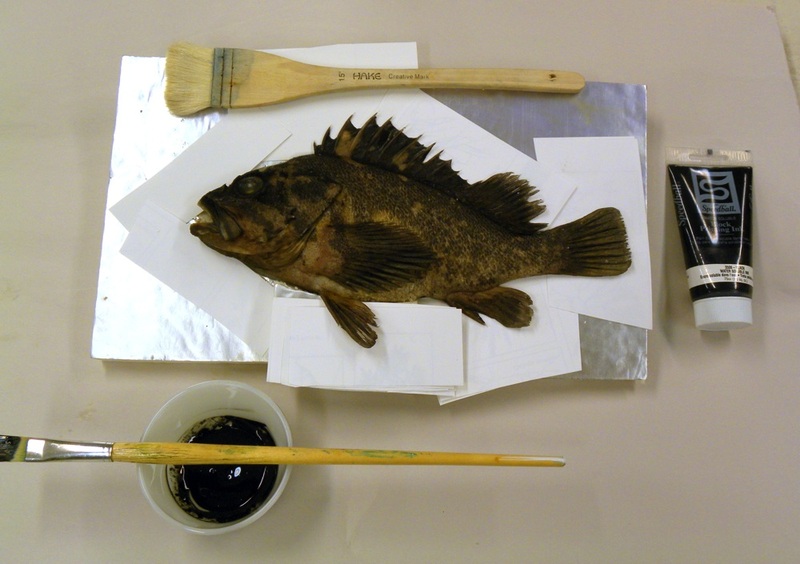 The printer can duplicate on paper with exacting detail the color, texture, and shading of an individual fish. The artist prints from natural objects, usually fish, but also other marine animals. 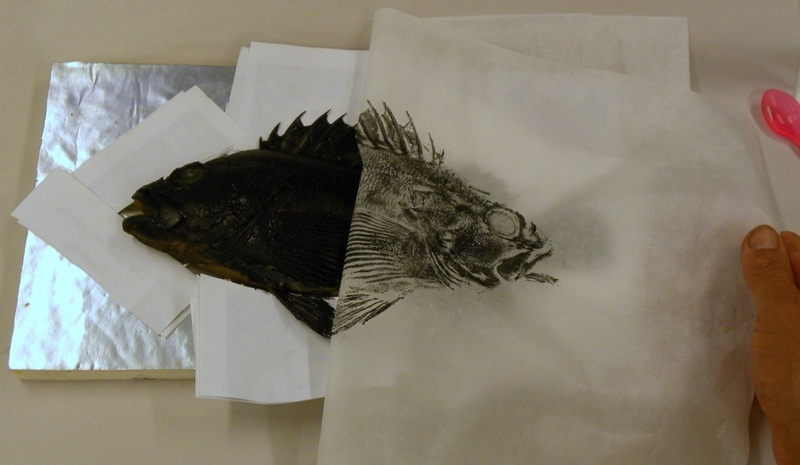 Gyotaku done in the direct method is made by applying ink or paint directly on the object, then pressing rice paper or silk to receive the ink image. Oriental rice papers and other handmade papers have long fibers which allow them to fold around the contours of the fish without tearing. 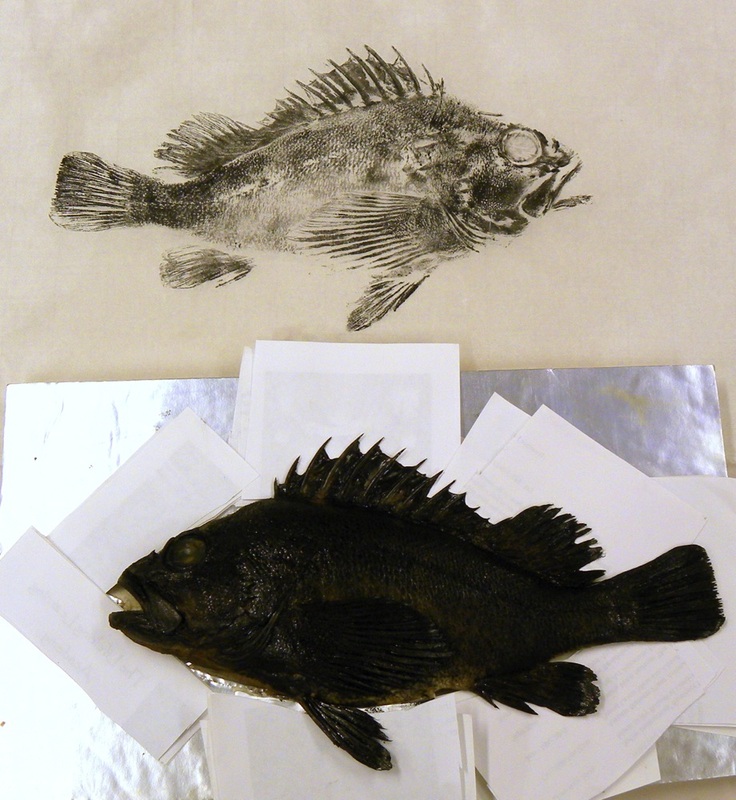 The resulting print is an exact reproduction in a mirror image, so that a right-handed flatfish will print left-handed. Another style of Gyotaku, the indirect, involves applying the ink to paper that has been adhered to the fish’s body, similar to a gravestone rubbing. 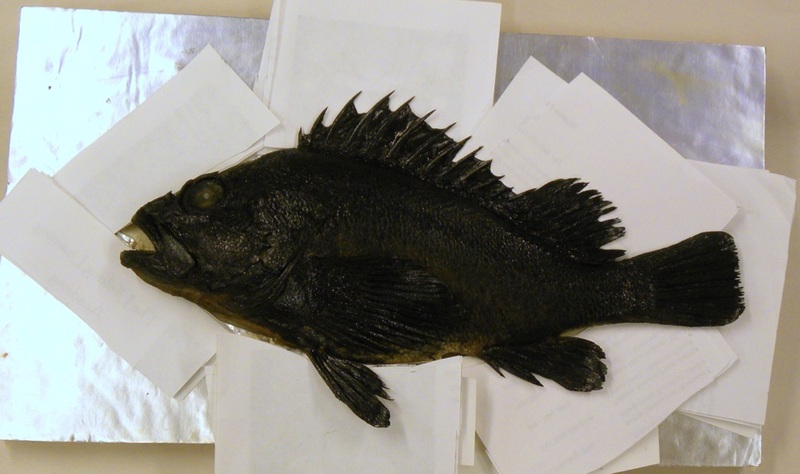 This results in a true image, so a right handed flatfish will print right handed. The majority of Heather’s prints are done in the direct method. The red seal or hanko is the traditional signature of the Orient. Often the translation of the artist’s name, it can also be interpretive. Heather’s favorite seal – Takes pleasure with fish – is a reflection of her relationship with the sea.